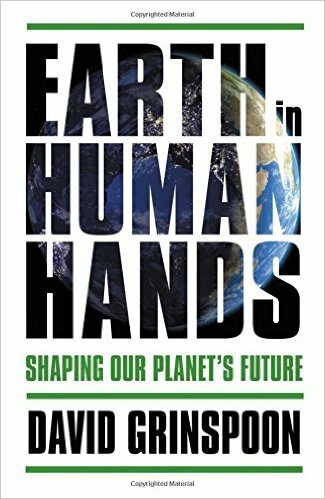 Presented by David Grinspoon, Ph.D.
David Grinspoon will be talking about his new book Earth In Human Hands: Shaping Our Planet’s Future. Among the topics to be discussed is the merits and demerits of “activating” the Search for Extra-Terrestrial Intelligence (SETI) by transitioning from passive listening to deliberate sending of messages to targeted star systems. 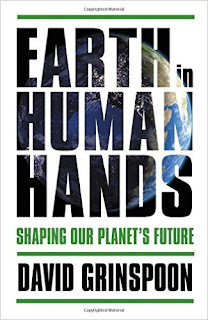 This has become something of a hot topic again with the publication of the end-note in a recent Communications of the ACM by Seth Shostak, wherein SETI’s senior astronomer takes an uncharacteristically pessimistic view of the possible consequences of reaching out to our interstellar neighbors. Can science fiction serve as a Gedankenexperiment for possible outcomes in advance of the actuality? Copies of Dr. Grinspoon’s book will be available.